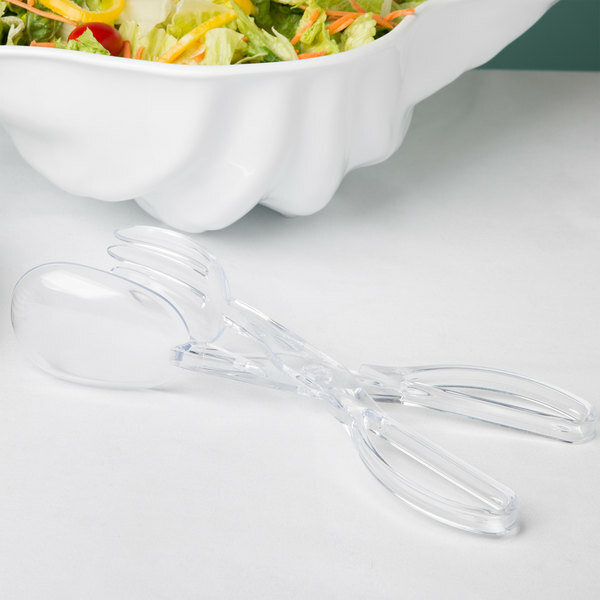 Perfect for serving salads at off-site catered events, this Fineline Platter Pleasers 3304-CL clear plastic salad tong set offers a subtle addition to your service, complete with the convenience of disposability. Featuring an easy-to-operate scissor design, with a spoon and fork pairing, this polystyrene tong set securely grasps salad for fast, efficient service, whether by staff, or by guests. these are not so sturdy, but are great for salad tossing, they are inexpensive and can be re-used many times. I recommend it because it also give it an elegant look. 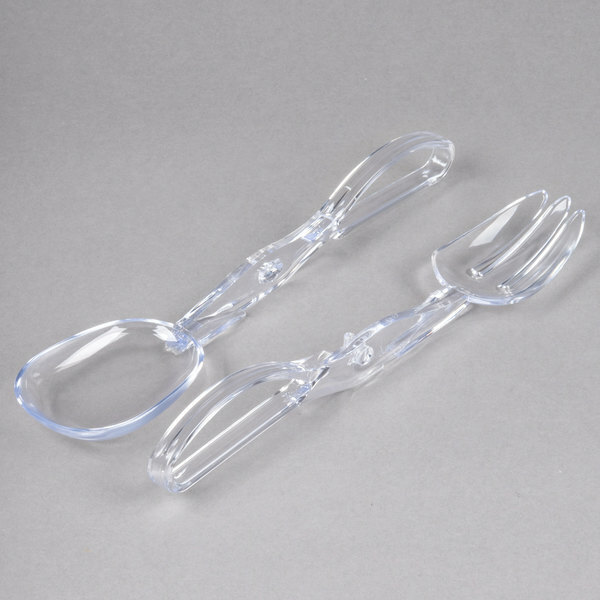 I got these salad tongs to serve large salad at a party and they worked great. They feel sturdy and can pick up a decent portion of salad at once, not like some other tongs that only pick up 3 leaves of lettuce each time. Great salad tongs that are inexpensive enough to be disposable. Likely will last a couple of uses, but inexpensive enough they can be thrown away. Fineline 3304-CL Platter Pleasers Clear Plastic Salad Tong I got both these and the black ones and I prefer these cause I can see what I'm grabbing. Salad tong is as expected and if it performs as other I have should last a long time. The only complaint I have and the reason for 4 stars is the location where it locks together the plastic was a little rough and hard to operate at first and I thought I was going to break it when first trying to open it. After operating it a few times it smoothed out and the extra plastic has worn down. Might be just mine because I only ordered one. I would order this again. We will be using in a week for our wedding. This Fineline 3304-CL Platter Pleasers Clear Plastic Salad Tong is perfect for serving salads and single items at home, parties and event. It's made of good clear plastic material. Easy to grasp salads with a scissor design. We give these salad tongs to people complimentary along with catering orders when they order salad platters. They look classy and professional and they work well. 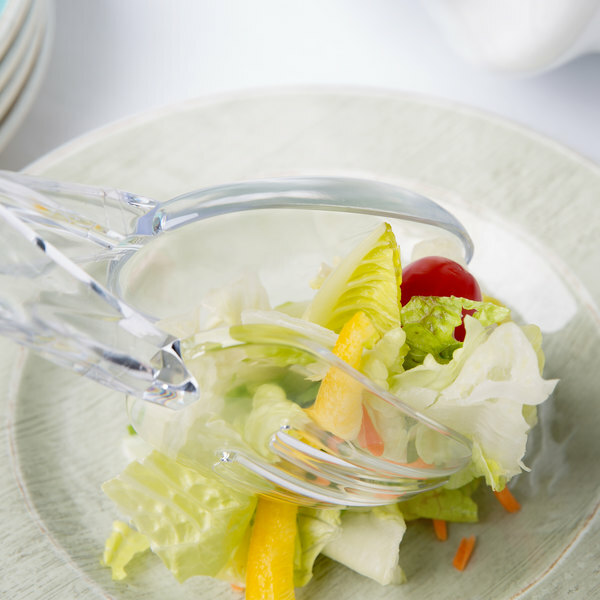 The Fineline 3304-CL Platter Pleasers Clear Plastic Salad Tong is a great item. The quality is good as well as the price. I recommend this product. I absolutely love this product! 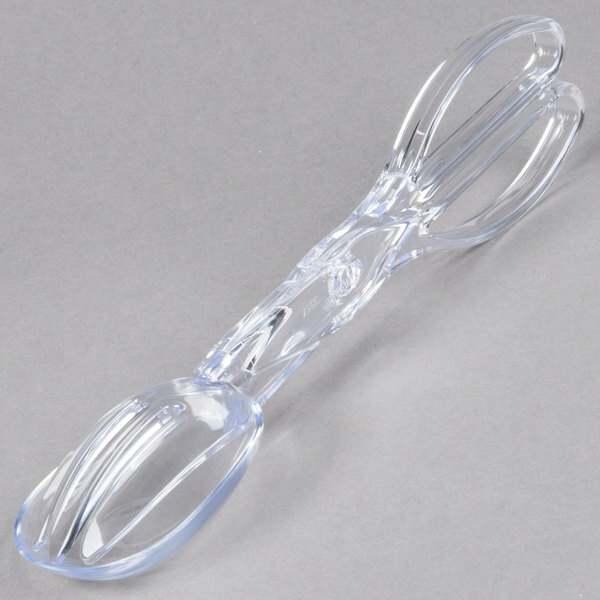 This fineline platter pleaser clear plastic salad tongs work great! They are great for any kind of salad or sides! 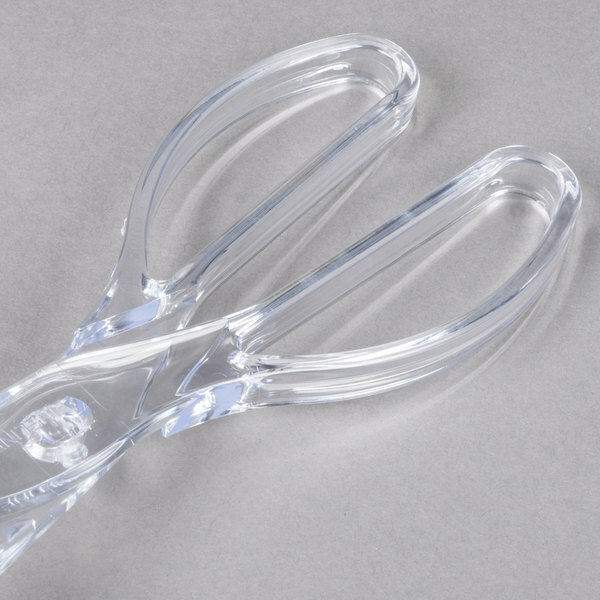 These are a nice clear plastic tong. they are pretty good for salads. they are more durable than i thought they would be and you can still toss them afterwards. I almost did not purchase these tongs as I found them slightly cheaper locally, however I am glad I did. I did not purchase enough and ended up going to the local store which are definitely more light weight/cheap and will break far sooner than the Fineline brand. 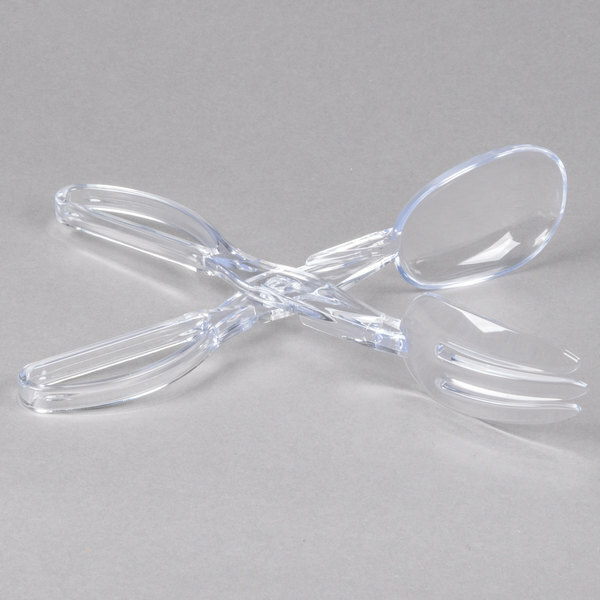 These are great for people to use to dish their own salad. They are light weight and easy to clean. They are not the strongest but they serve the purpose. Used the Fineline 3304-CL Platter Pleasers Clear Plastic Salad Tong to pick up a chicken leg. So easy to use. The drummette fit perfectly and was easy to move around. Very economical, these plastic salad tongs are very heavy duty. I ordered more than I needed, because, for the low price, I thought they might not be very durable. They are nice looking and very heavy duty. 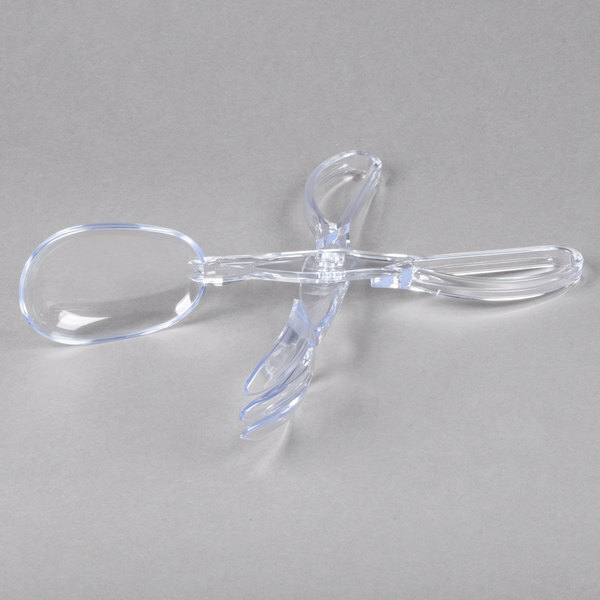 Although these disposable salad tongs are disposable they are extremely sturdy and could certainly be reused. Would be great for anything from tossed salad to other side dishes and entrees.